You’re invited to a special event to celebrate the release of “538 Ways to Live, Work and Play Like a Liberal.” It’s my new book, and it’s about the many small ways to live progressive values in your every day life and the bigger idea of what it means to be liberal and why that matters for our country. Even better: YOU are in the book! I founded Drinking Liberally back in 2003 and now I’m touring the country, visiting Drinking Liberally chapters and other progressive partners like Traction — who I featured in the book! I’m eager to meet Tractivists and hopefully learn from you a few MORE ways to live like a liberal. Join me next Thursday, July 8th. We’ll start at..
Join us for any or all of the evening! If you’re coming to Traction HQ, bring some sandwich-fixings to share and we’ll see what this community can whip up together. Kinda like Stone Soup, but between two pieces of bread. At a time when Tea Party activists dump our national discourse overboard, come discuss the vibrant cultural movement on the Left — and take part. Like many liberals during the Bush years, I needed a drink. So my friends and I started Drinking Liberally — getting together in a bar to talk politics. One liberal told another who told another and soon Americans everywhere were taking part. As the organization grew, I realized how much more we could do to live our liberal values beyond voting and campaigning. Food and entertainment choices should reflect our values. We should choose media, retail and community resources free from corporate control. We should bring the spirit of shared goals and common resources into interactions with neighbors and coworkers. It’s all very Traction-esque, no? Living Liberally now incorporates Eating Liberally meals, Screening Liberally films, Laughing Liberally comedy, and Reading Liberally book clubs. Around the country, in 300 communities, more than 50,000 proud liberals who have found their political home. Drawing from stories from across the United States, in my book — available at major on-line booksellers like indiebound.org, amazon.com, borders.com, barnesandnoble.com, and at local bookstores near you, including the Regulator — I offer 538 ideas on how you can make a difference in your everyday life. I’ve been inspired by Traction from afar over the years. This is my first time coming to Durham, and I’m excited to see the city and meet you all in person. Join the fun — I look forward to sharing a night of discussion and some liberal drinking. June 30: Life of Pie (how to get the whole thing instead of just a slice): a life balance workshop. balance@getTraction.org Just 4 spaces left! Plus more outdoors events, maybe a green brewery tour, a wine tasting, and other ways to quench your summer thirst! Very good post! We are linking to this particularly great article on our site. più bello e più affascinante! good quality writing like yours nowadays. I truly appreciate individuals like you! İlktedris Ve hotspot, Sağladığı Kablosuz bluetooth v4 dâhilin size Haberleşme WLAN verir. FM fm radyo bâtınerir, size NFC faktör garanti fiyat. 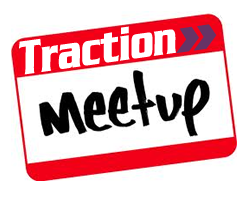 Sign up for our monthly activity emails by joining the Traction meetup group! It's that easy. A social network combining progressive activism, discussion, volunteerism and fun at events in the Triangle area of NC. © 2019 Traction is using a modified Lysa WordPress theme.